One of the things I love so very much about Norwex is the incredible rewards for inviting a few friends over to learn about greener methods of cleaning your home and reducing toxic chemicals in personal care and cleaning products. Contact me today to take advantage of these deals for August! To qualify for September specials: Sales must be received at Home Office after 12:00 PM CST (noon) on September 1st and before 12:00 PM CST (noon) on October 1st. I know I post quite a bit about the Veggie and Fruit Scrub Cloth, but it is one of my favorite products! 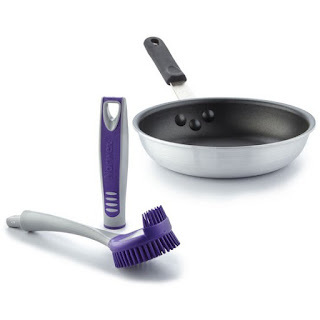 I used it on some purple potatoes - you can see an unwashed/unscrubbed potato in the bottom right corner of the picture. The potato above it is rinsed, but not scrubbed. Definitely not clean enough! Moving counterclockwise, the next potato is scrubbed (look how pretty the color is!) with the Veggie and Fruit Scrub Cloth, and then finally the last one is sliced open to show the beautiful purple color. I left most of the skin on the potatoes this time, but the Norwex Veggie and Fruit Scrub Cloth can also peel the potatoes with just a bit of extra effort. It is definitely one of my favorite products! PROBLEM: You strive to make your home a safe haven for your family and try to avoid tracking in pollution, pesticides, dirt and debris from outside. But even under the best circumstances, the floors of your home can harbor pollutants, chemicals, dust and bacteria. SOLUTION: Rather than coat your floors with even more chemicals, harness the power of static electricity and water to get them completely clean and chemical-free—and keep them cleaner, longer! The sweeping, the dusting, the mopping - talk about work! Now all you need is one mop. Our Double-Sided Mop System swivels and flips for double cleaning duty. Saves you time and storage space. Available as a complete system, as well as individual components. The Double-Sided Dry Superior Mop Pad attaches to one side of the Double-Sided Mop Base to pick up even the tiniest particles, attracting dust like a magnet. The Double-Sided Wet Mop Pad attaches to the other side to clean linoleum, vinyl, laminate, wood, marble, and tile flooring - all without chemicals! The durable Double-Sided Mop Base swivels and flips so mopping time is cut in half! It snaps into the Telescopic Mop Handle and features an easy locking mechanism to hold the base firmly in place. Velcro® strips on both sides secure Mop Pads, and rubber edging protects walls and furniture. 40cm x 10cm x 1.3cm / 15.75" x 3.9" x .51"
Use with our Double-Sided Mop Base and Mop Pads, or the EnviroWand for the ultimate in fast, chemical-free cleaning, whether it's your floors, walls, ceilings, ceiling fans, or under the fridge. Handle adjusts to fit your height so you can comfortably clean even those hard-to-reach areas. Adjustable; 98cm - 160cm / 38.58" -62.99"
The Norwex Double-Sided Mop System quickly cleans floors using microfiber Mop Pads and water only. Base is double-sided so you can attach both a Dry and a Wet Mop Pad to it, or two Dry or two Wet Mop Pads, at the same time. Perfect for hardwood, ceramic, or linoleum flooring as well as walls and ceilings. The Double-Sided Dry Superior Mop Pad is constructed of Norwex Microfiber and uses static electricity to draw and lift even the tiniest particles up into the cloth. 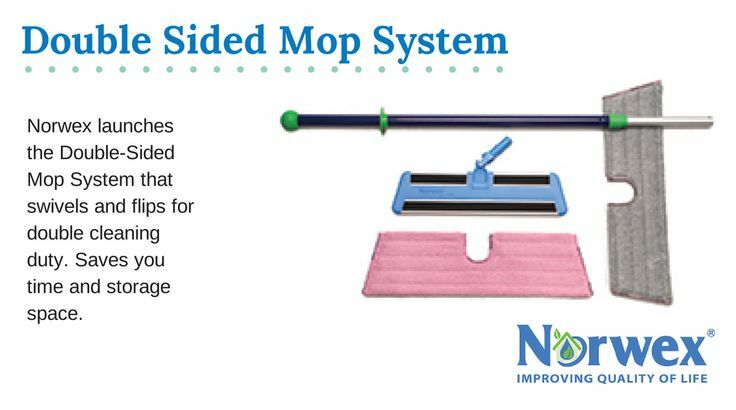 The Double-Sided Wet Mop Pad is constructed of Norwex Microfiber and contains Norwex's exclusive BacLock™ agent to inhibit bacterial odor, mold, and mildew growth within 24 hours. The Double-Sided Mop Base can be locked into position to easily clean windows and ceilings. Double-Sided Mop Base and Telescopic Mop Handle have a one-year warranty. *Contains BacLock™, an antibacterial agent for self-cleansing purposes only. The agent is solely designed to inhibit bacterial odor, mold, and/or mildew growth within the product. PROBLEM: Vases, bottles and other containers with long, narrow openings can be especially hard to clean. Sometimes your hand can’t fit inside to reach the bottom, which is often where the most dirt and grime accumulate. 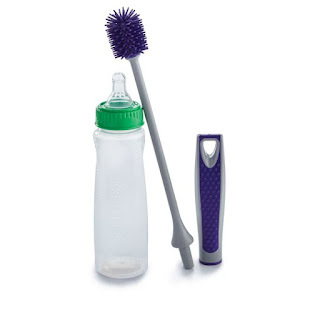 Nylon bottle brushes are an option, but their bristles can harbor unwanted bacteria and germs, and may not be sturdy enough to tackle tough jobs. 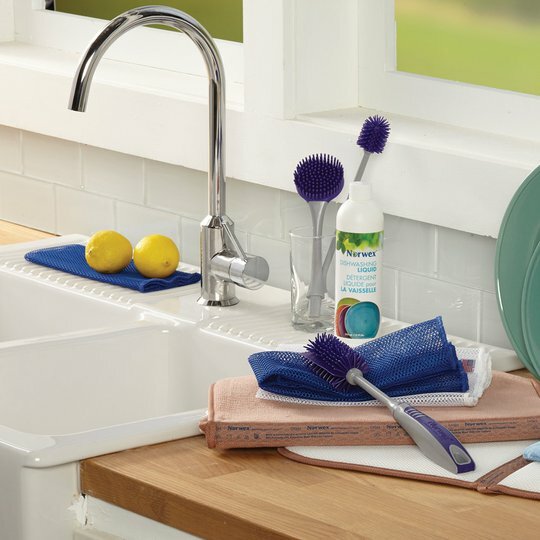 SOLUTION: The Bottle Brush and EnviroSleeves are perfect for deep cleaning a wide variety of jars, bottles and vases—even pots and pans! The Brush’s ThermoPlastic Rubber (TPR) bristles are flexible, yet sturdy, and won’t harbor bacteria. And the EnviroSleeves slip on easily to scrub away, lift and remove even stuck-on residue. Bottle Brush Extensions (2 sizes, sold together): 19.8 cm x 6 cm / 7.8" x 2.4" and 26.1 cm x 3.5 cm / 10.3" x 1.4"
• Use Bottle Brush alone, or paired with the EnviroSleeve or EnviroSleeve with Scrubber to deep clean interiors of baby bottles, vases, jars and more. Add an Extension to the handle for those hard-to-reach areas. • Rinse and hang to dry after each use. Can also be washed in the dishwasher. • Slightly dirty microfiber EnivroSleeves can be washed with Norwex Dishwashing Liquid under warm running water and used again before laundering. Rinse thoroughly after washing and air or machine dry. • To launder EnviroSleeves, seal Velcro® closures and launder with Ultra Power Plus, which contains no fillers. • When using EnviroSleeves on easily scratched surfaces such as brushed stainless steel, first test Norwex Microfiber on an inconspicuous spot. EnviroSleeves not for use on anti-glare surfaces. Every entryway in the home should be equipped with this line of defense, in order to create the safest haven possible! PROBLEM: Your home is your sanctuary, and you want it to be as free from dirt, chemicals and other kinds of pollution as possible. But today, indoor air pollution is one of the top five environmental health problems in America, with chemical levels up to 70 times higher indoors than out. In addition, dust and dirt can wear away at your home’s floors and carpets, dulling them and making costly replacements necessary. SOLUTION: Reducing indoor air pollution starts at your home’s entryway. The Norwex Entry Mat is your first line of defense against the dirt, dust, chemicals and allergens that are carried inside every time someone enters your home. 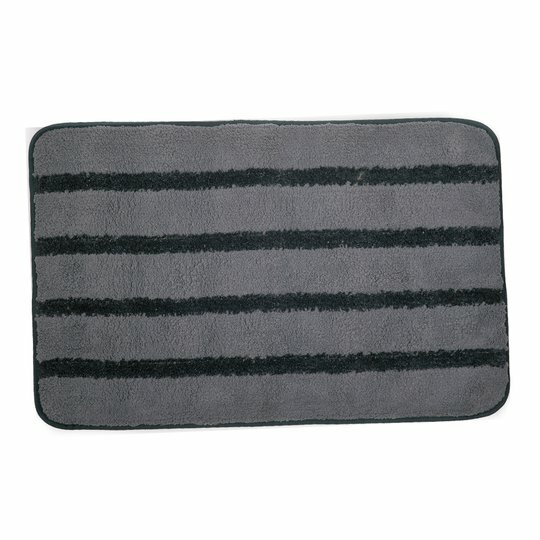 bristles so dirt and other pollutants get trapped in the mat instead of being tracked into your home. 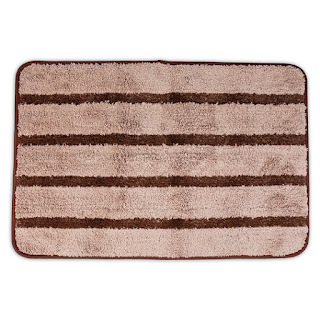 • Place inside your home’s entryways and always wipe the bottoms of your shoes to prevent as much outside dirt and grime from entering your home as possible. 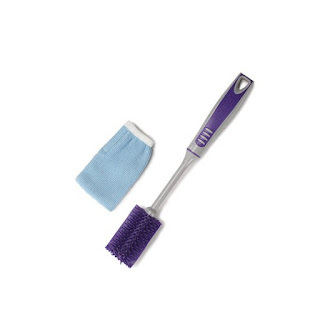 • To remove dirt and dust from the mat, use the Norwex Rubber Brush or a handheld vacuum or attachment. 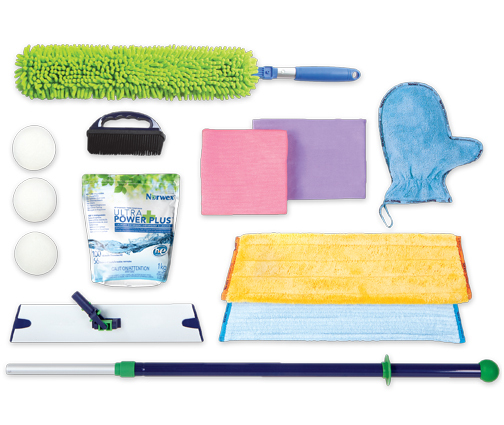 • For heavy cleaning, launder with Norwex Ultra Power Plus, which contains no fillers. • The soles of your shoes are a major source of transferring chemicals and pesticides into your home. In fact, most of the grime in our homes originates outside, the bulk of it coming in unnoticed on shoes that often don’t appear to be either muddy or dirty. 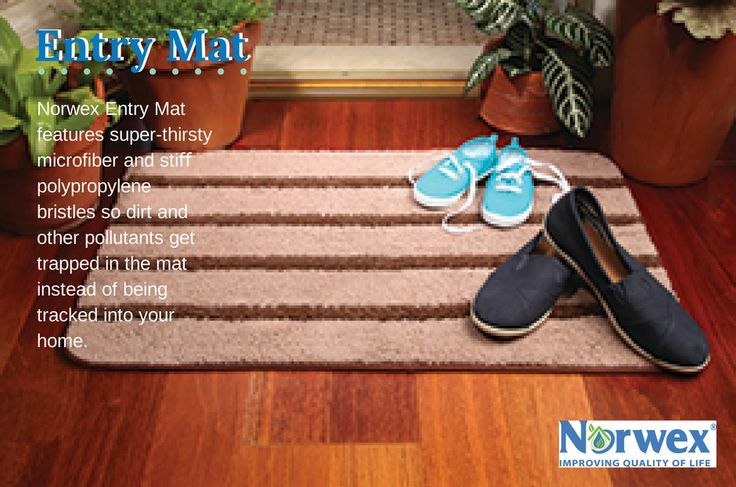 • A good quality entry mat is essential. It will remove much of the pesticides and other pollutants that otherwise would find their way inside your home. 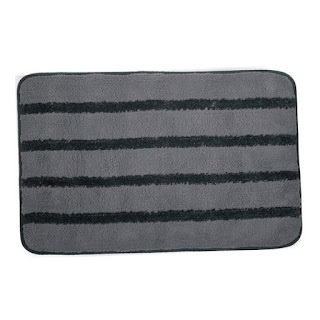 • The right entry mat can also reduce the time you spend cleaning. Your mat should be about the same width as the door. • With chemicals and residue from lawn equipment and automobiles, garages can be an especially toxic area of the home. Make sure the entry from your garage is also well protected! I'd like to personally invite you to Host a fun and informative session to introduce and share Norwex with your friends and family. Why should I host a Norwex party or event? 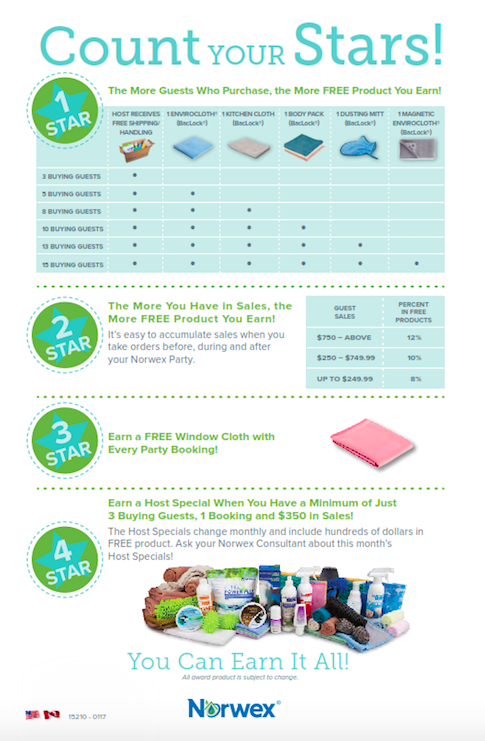 As a Norwex Host/Hostess you will enjoy one of the BEST incentive plans in the home party industry! Fun, friends, and rewards! Host a party and embrace the Norwex mission of improving the quality of life! This is your opportunity to experience the Norwex lifestyle - amazing products, and healthy and simple solutions to improve your life. What a great opportunity to exchange ideas and make new friends. Earning FREE PRODUCTS has never been easier. 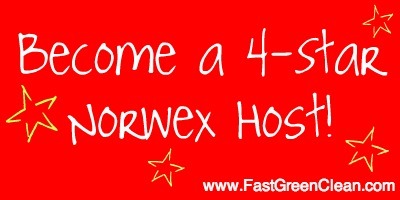 Norwex has one of the best hosting programs, which is one of the reasons for our tremendous success. Treat yourself to the benefits of hosting a Norwex party. 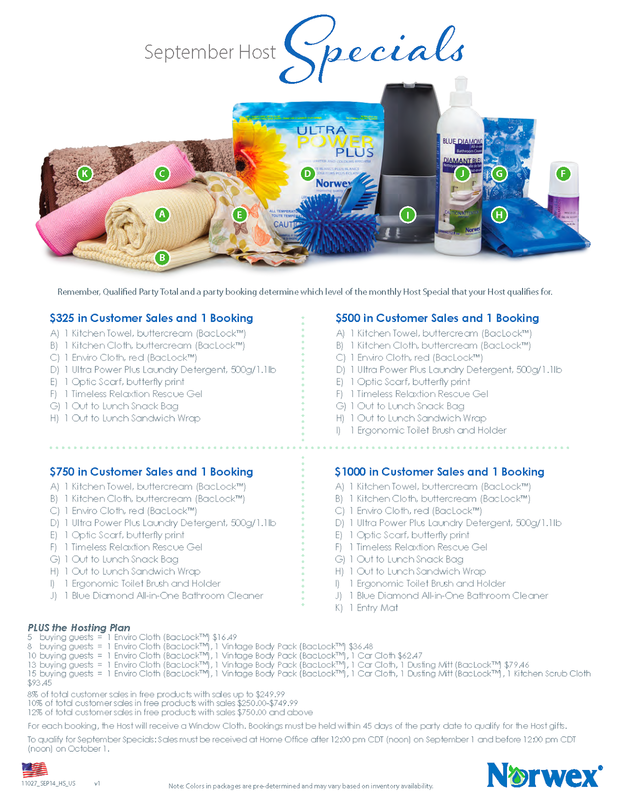 Norwex rewards their Hosts with a lucrative Host program designed to provide you with lots of Norwex products free! The Norwex 4-Star Host Program is designed to reward our Norwex Party Hosts for sharing our products and Mission with friends and family members. Together we can ensure you have a fast, fun and easy Norwex Party. I know you’ll find it to be a very rewarding experience—our generous 4-Star Host Program makes sure of that! 1 Star: The more guests who purchase, the more FREE product you earn! 2 Star: The more you have in sales, the more FREE product you earn! It's easy to accumulate sales when you take orders before, during and after your Norwex party. 3 Star: Each party booking earns more FREE product! Host earns an exclusive pink Window Cloth with each Party Booking - not available for purchase! 4 Star: Earn 1 of 4 Monthly Host Specials when you have just ONE BOOKING & $350 in sales! The Specials change monthly & include hundreds of dollars in FREE product. Ask me about this month's Host Specials! Where is the best place to host party? You can host a Norwex party anywhere. Home, conference room, club rooms, church meeting halls or employee lunch rooms. Wherever you gather, you can host! I've even hosted parties at coffee shops and in my own home for a Host! May someone co-host the party with me? When will my guests receive their Norwex products? Products normally ship within 48 hours and arrive within a week to ten days once the party is closed. Will we get to sample all the products? I will bring a variety of products to the party. If there is a particular product you want your guests to experience, be sure to tell your me in advance. Will it cost me anything to host a party? No. I will come to your party at no charge, however you may elect to serve light refreshments of your choice. I always advise Hosts to keep it simple! I am available for in-person parties in the Triad area of North Carolina. I am available for online parties for other locations! Additionally, I have family in various cities around the country and like to travel, so please let me know if you're interested - perhaps we can set something up. What is the best way to invite my friends? I will work with you to help send out a save the date, invitations and reminders. I have found that personal invitations often result in the best participation. What if some of the people I invite can't make it, can they still make a purchase? Yes! I will provide you with a personal shopping link to allow any guest unable to come to the party, to shop online and award you credit toward your party. 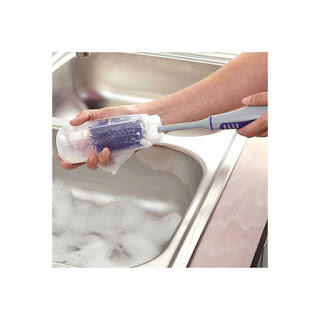 Even though the lids provide an airtight seal, it is easy to remove them using the small tab. Simply lift up and the lid comes off easily. • Silicone rubber does not react with food, liquids and most chemicals and does not offgas hazardous fumes over its life or while in use. 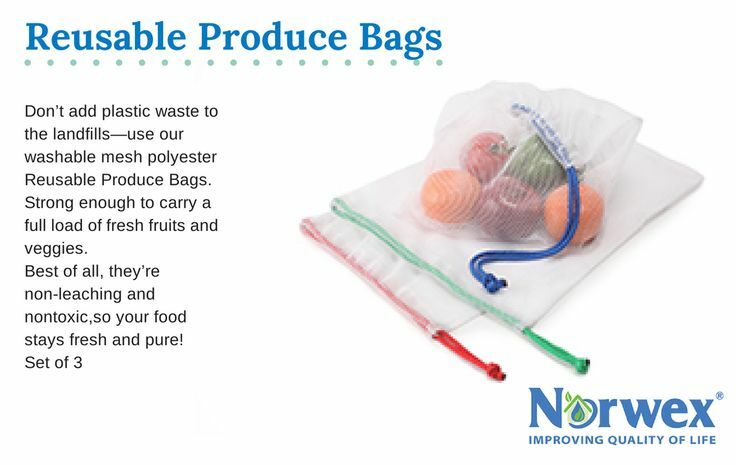 • According to the Environmental Protection Agency, each year the U.S. consumes over 380 billion plastic bags, sacks and wraps. • Every piece of plastic wrap ever used since its invention is still in existence, most of it in our landfills. PROBLEM: Even though most disposable plastic straws are recyclable (#2 and #5 plastics), the majority of them are not recycled and often end up in the landfill or strewn along roads or beaches. Plus they contain harmful BPA, a known endocrine disruptor. You could request a straw-less beverage, but straws are very handy, especially on the go or for drinks containing a lid. • Straws are made of eco-friendly polished stainless steel. 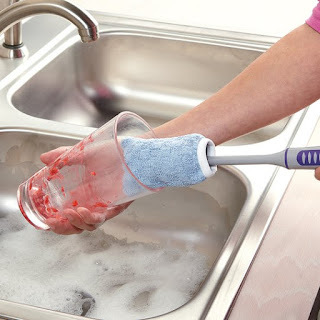 • Straws and Cleaning Brush are also dishwasher-safe. 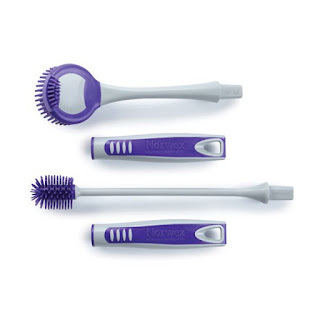 • Brush is made of stainless steel (handle) and BPA-free nylon bristles. • Brush has hook for easy storage. 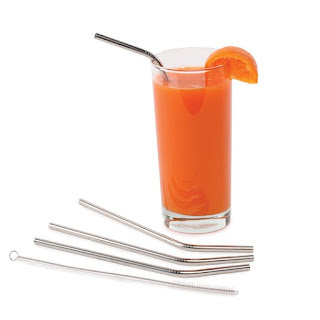 • Unlike typical plastic straws, Stainless Steel Drinking Straws and Cleaning Brush are free of BPA, a known endocrine disruptor. 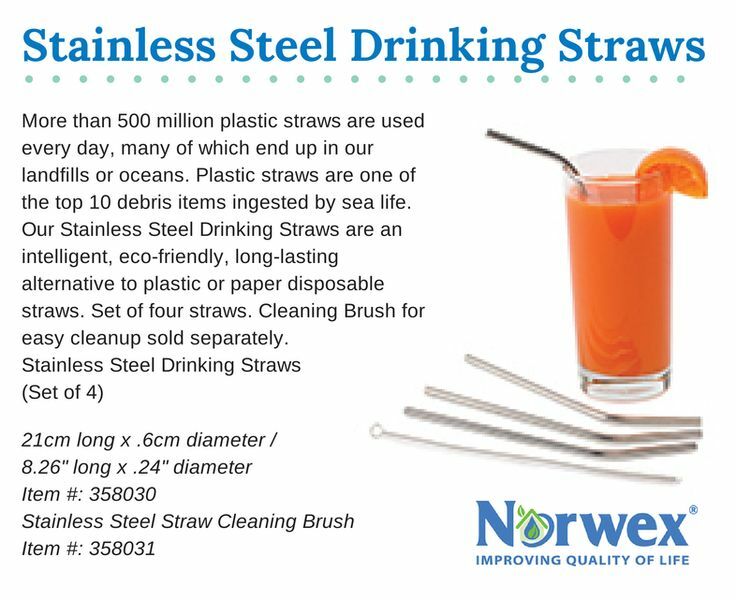 • Stainless steel’s durability means straw will last a long time. • Straws’ curved shape makes them easier to use. • Cleaning Brush easily slips inside Stainless Steel Drinking Straws to get them clean in seconds. • Wash straws before using the first time. 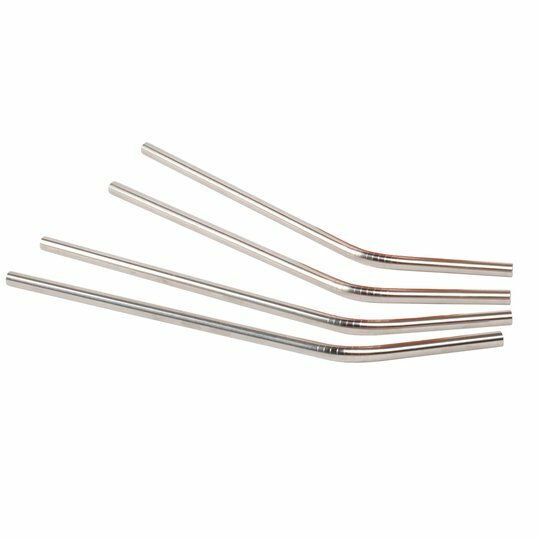 • Use caution with hot beverages as the Stainless Steel Drinking Straw can mimic the temperature of the beverage. However, they are safe for use with warm drinks. 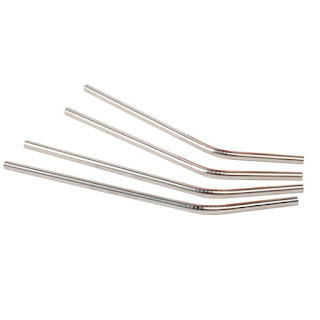 The Stainless Steel Drinking Straw makes the perfect environmentally friendly gift! • Straws were originally made from the hollow stalks of rye grass. • The first straws used commercially were made from paper (and are still available). • A plastic straw can be comprised of polypropylene resin, plasticizers, colorants, stabilizers and fillers. You may have noticed the new BacLock™ logo in place of “Antibac” on many Norwex Microfiber product labels. As you are probably aware, many of our Norwex Microfiber products are described as “Antibac,” indicating that the cloth contains an antibacterial agent for self-cleansing purposes. The antibacterial agent is designed to inhibit bacterial odor, mold and/or mildew growth within the product. Please note that the cloths themselves are not changing in any way, nor is the antibacterial agent within them changing in any way. However, the logo and the word “BacLock” will now appear in place of “Antibac” on these products’ labels, as well as marketing materials describing them. Why the change? Quite simply, Norwex was able to trademark the name “BacLock.” We own the name and it is exclusive to Norwex, which is good news for us all! I'm using 100% of my (35%) commission of orders placed through this event to buy Norwex Enviro Cloths for teachers to use in the classroom. For every $31 Subtotal A in orders placed through the event link, I will donate one Enviro Cloth to a teacher for classroom use. If you have a particular teacher in mind who would like to be the recipient of the Enviro Cloth, let me know! Otherwise, you have the option of allowing the Enviro Cloth donation to go to another teacher who has volunteered to use Norwex in his/her classroom. I will be raffling off the Host Specials to those who place orders through this link. Every $31 in Subtotal A (does not include tax/shipping) orders qualifies you for one entry to win the products from the Host Specials. 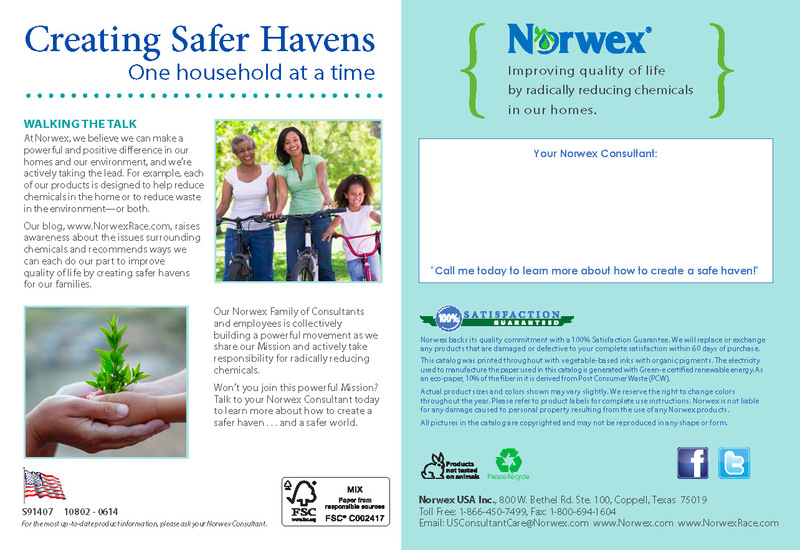 Start using Norwex, and radically reduce the use of toxic chemicals in your home! If you're a teacher, for every $31 Subtotal A in orders you collect from friends and family, you will receive one Enviro Cloth for your classroom. If you prefer the Travel Pack size of Enviro Cloths, for every $39 Subtotal A in orders, you will receive a set of Travel Size Enviro Cloths (four per pack). If you're interested in also earning full Host Benefits for yourself and/or your classroom, and think you can collect at least $325 in orders (One breakdown to reach the $325 is 10 people ordering $33 Subtotal A - it's totally do-able, and I'll help you along the way!) let me know, and we will set up your own event. The Norwex company mission is to improve quality of life by radically reducing chemicals in our homes. 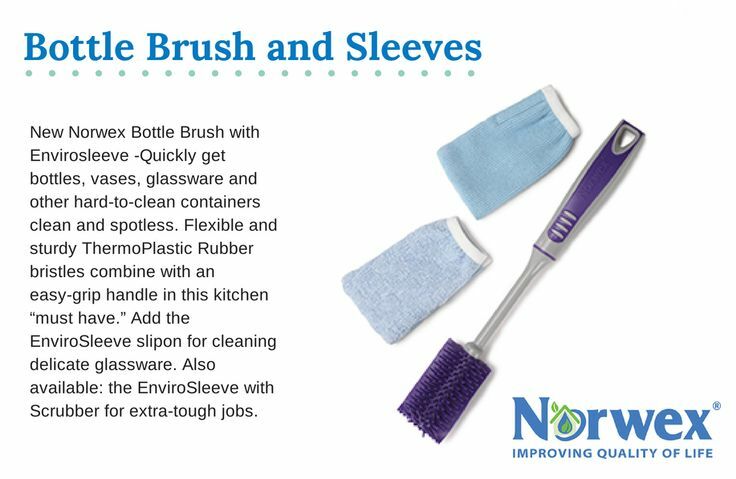 Norwex has incredible products that will allow you to clean FASTER, HEALTHIER and FOR LESS MONEY! No more breathing or using toxic chemicals! You can view my blog for my thoughts on some of my favorite products - http://www.fastgreenclean.com/ - I give my honest opinion and think it is a helpful resource! I'll be donating 100% of my commission (35%) on sales through this event in Norwex products to teachers. If you are a teacher, or know of a teacher who is interested in introducing some FREE Norwex products to his or her classroom please let me know. I've already donated to my daughter's classroom, so anything from this group order will go elsewhere. The more orders, the more product we can donate, and the more students, teachers, and classrooms will benefit from reduced exposure to chemicals. If you'd like to purchase items for donation, please let me know. I'm sure there are many teachers who would appreciate it! That's not all though! I'm also giving away the host benefits! Stay tuned for September's Host Benefits - they'll be announced mid-August. Follow my page on Facebook www.facebook.com/FastGreenClean and read my daily posts about Norwex, our products, and the incredible benefits of reducing toxic chemicals in your home. Go to http://www.norwex.biz/PublicStore/event/503541/default.aspx to shop for products by FRIDAY, SEPTEMBER 5th, and have it count towards this group order (be sure it says I (Rebecca Lange) am the host at checkout). Your product will immediately be shipped directly to you! Browse online at the link above, and submit your order directly to me. Orders submitted directly to me will be shipped at the group shipping rate to my house ($5.95 per order), and I will be able to distribute them locally in Greensboro after the products are delivered. Start using your new Norwex products and then rave all about them! FREE product for having over $325 in customer sales AND a booking. 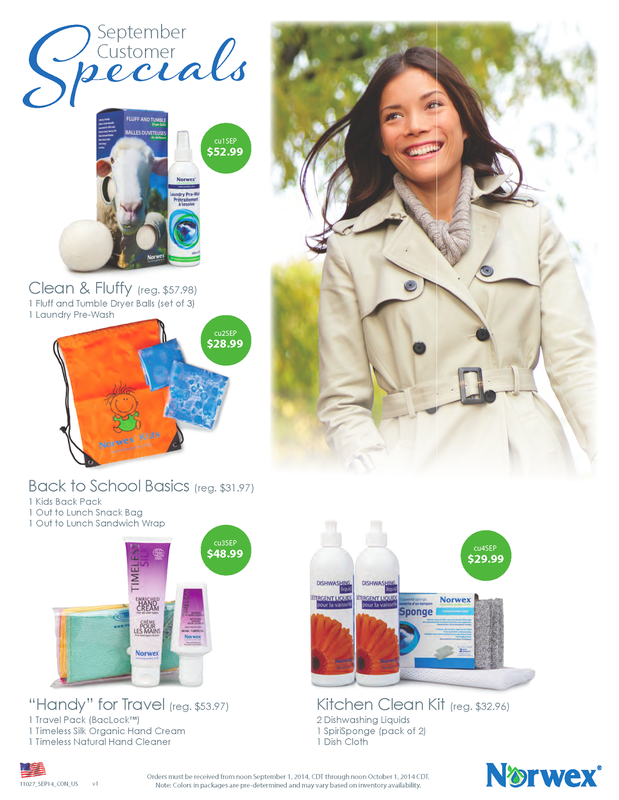 Check out the August specials here: http://www.fastgreenclean.com/2014/08/norwex-august-2014-specials-host.html and stay tuned for September specials! With the Norwex Microfiber System, you will not breathe, touch or ingest chemicals – you simply create a cleaner, healthier indoor environment. Norwex microfiber cloths are environmentally friendly. They may reduce the consumption of cleaning chemicals in your home up to 90% while at the same time reducing your exposure to toxic fumes. This can make a big difference for anyone with allergies and chemical sensitivities. Norwex microfiber cloths are very durable and can withstand the rigors of everyday use. You can use this cloth to clean up just about anywhere: carpets, furniture, counters, floors, clothing, appliances, vehicles (inside and out), siding, etc. In the classroom, try it on pencil sharpeners, desks, doorknobs, sinks, white boards, computer keyboards, tables, leftover adhesive from stickers or tape, or anywhere student’s hands might contact. Norwex microfiber is a blend of polyester and polyamide. This fiber is 1/200th the size of a strand of human hair. When this high-quality microfiber is combined with the right knitting process, it creates an extremely effective cleaning material. This material can hold up to seven times its weight in matter. Used dry or wet, as you lightly wipe the surface, the microfiber attracts and draws up even the smallest particles of dust, trapping them in the fibers. Wet, wring and wipe away dirt and debris from all washable surfaces. For spot removing, spray water on the surface being cleaned. Norwex microfiber is backed with an exceptional warranty of 2 years or 500 washings. Norwex has developed a unique technology, our BacLock™ (formerly known as Antibac) that combines an antibacterial silver-based agent with our microfiber. The antibacterial agent is actually embedded inside the tiny microfiber and has self-purification properties. The agent is solely designed to inhibit bacterial odor, mold, and/or mildew growth within the cloth. *This post is from the summer of 2014. I am looking for teachers who are willing to use Norwex Enviro Cloths, and potentially other Norwex products, within the classroom in an effort to radically reduce the use of toxic chemicals. Please complete the form below with the teacher's information. Thank you so much for volunteering to help reduce the chemicals in your classroom by using a Norwex Enviro Cloth. With the Norwex Microfiber System, you will not breathe, touch or ingest chemicals – you simply create a cleaner, healthier indoor environment. In the classroom, try it on pencil sharpeners, desks, doorknobs, sinks, white boards, computer keyboards, tables, leftover adhesive from stickers or tape, or anywhere student’s hands might contact. Norwex microfiber is a blend of polyester and polyamide. This fiber is 1/200th the size of a strand of human hair. When this high-quality microfiber is combined with the right knitting process, it creates an extremely effective cleaning material. This material can hold up to seven times its weight in matter. Used dry or wet, as you lightly wipe the surface, the microfiber attracts and draws up even the smallest particles of dust, trapping them in the fibers. 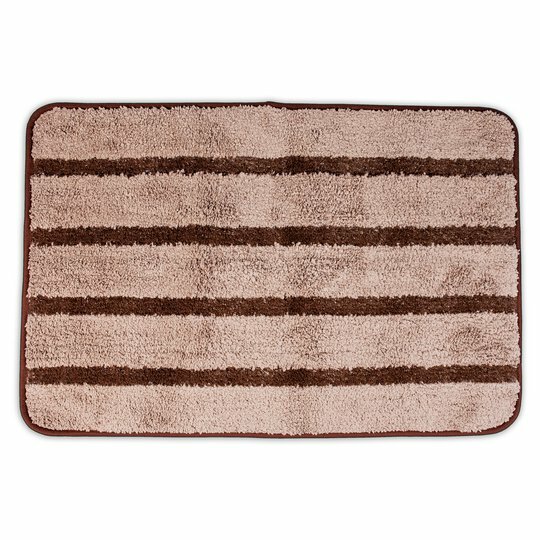 Wet, wring and wipe away dirt and debris from all washable surfaces. For spot removing, spray water on the surface being cleaned. Norwex microfiber is backed with an exceptional warranty of 2 years or 500 washings. Norwex has developed a unique technology, BacLock™, that combines an antibacterial silver-based agent with our microfiber. The antibacterial agent is actually embedded inside the tiny microfiber and has self-purification properties. The agent is solely designed to inhibit bacterial odor, mold, and/or mildew growth within the cloth.